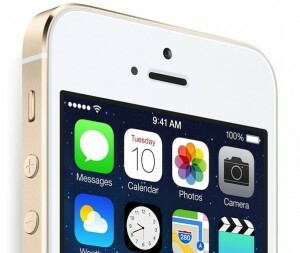 Apple revives in Apple’s online store pickup for iPhone 5S. Apple has brought back its personal pickup service for buyers of the iPhone 5S. Through in-store pickup, you can purchase the 5S through Apple’s online store or through theApple Store mobile app. Once the phone is available, you’ll receive an e-mail saying it’s ready to be picked up at the Apple Store location you selected. The iPhone 5S was available for in-store pickup when it initially launched, but Apple removed the option a day later. The 5S is in short supply, with Apple’s online store listing an estimated ship date of sometime in October. The Personal Pickup option showed the phone as unavailable at most of the stores I checked in and around the New York City area. Only Apple’s flagship store at Fifth Avenue and another store on the Manhattan’s Upper West Side indicated the 5S as available for pickup. A search of other major cities also revealed very sporadic availability.